Part craft book, part activity book, with over 40 projects to make in each book, the Mania series offers hours of creative fun for boys and girls of all ages! Want to make Wookiee finger puppets? How about lightsaber party favors? Star Wars Mania will show fans of all ages how to turn ordinary objects into incredible intergalactic creations. This amazing book is filled with craft projects, trivia, experiments, party ideas, and more. 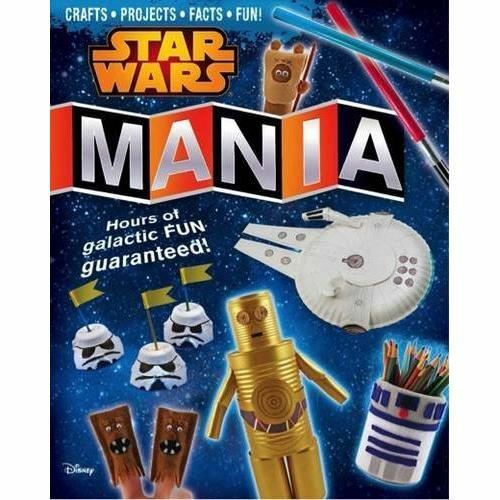 Packed with fascinating fun, Star Wars Mania is sure to make a Star Wars maniac out of you! Hours and hours of fun guaranteed! Part craft book, part activity book, with over 40 projects to make in each book, the Mania series offers hours of creative fun for boys and girls of all ages! Want to make Wookiee finger puppets? How about lightsaber party favors? 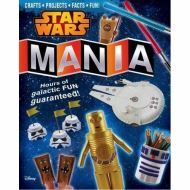 Star Wars Mania will show fans of all ages how to turn ordinary objects into incredible intergalactic creations. This amazing book is filled with craft projects, trivia, experiments, party ideas, and more. Packed with fascinating fun, Star Wars Mania is sure to make a Star Wars maniac out of you! Hours and hours of fun guaranteed!